Amazon.com has changed the face of retail through its use of bold supply chain strategies and its deployment of innovative technologies. In this article, we explore some of the ways that Amazon has shaped its supply chain, leaving competitors scrambling to catch up. In 2004, ten years after Amazon was founded, its annual revenue was just under $7 billion. According to Statista, in 2016, however, revenue reached almost $136 billion. In fact, Amazon is the fastest company to reach $100 billion in sales revenue, taking only 20 years. From its inception, Amazon has been growing approximately 20 percent per year. Currently, it enjoys 6.4 percent of gross global e-commerce sales. Many believe Amazon is working with the $1 trillion yearly revenue goal in mind. If you take Amazon’s 20 percent yearly growth rate into the calculation, it should reach the $1 trillion yearly revenue goal by 2027. No matter how attainable that goal is, one of the major secrets behind Amazon’s massive transformation from a simple online bookseller to the most dominant and formidable force in the retail industry is its innovative and highly efficient supply chain. Amazon’s continuous efforts to deliver products to the customers in the quickest possible time are causing intense pressure other giant players in the retail industry across the globe and thus changing the way supply chain management works. Back in 2005, Amazon launched its Amazon Prime service. Customers, paying an annual membership fee, received a guaranteed two-day shipping on hundreds of thousands of products. In fact, the introduction of two-day delivery was the game changer and established the dominance of Amazon in the online retail industry. When many other retailers started to catch up with that strategy by offering their own free two-day shipping, Amazon tipped the playing surface by offering a one-hour delivery with its Amazon Prime Now service. Although Amazon has recently made it a free two-hour delivery for Amazon Prime Now, it has always made life difficult for its major competitors as a result of its innovative strategies. Amazon enjoys a cult following. It is a favorite choice for customers due to one crucial reason: quick and efficient supply chain management. The combination of sophisticated information technology, an extensive network of warehouses, multi-tier inventory management and excellent transportation makes Amazon’s supply chain the most efficient among all the major companies in the world. Amazon’s supply chain heavily depends on outsourcing of its inventory management. Especially the products that are not frequently purchased or ordered are not stored in regular Amazon warehouses. It may come as a surprise to you that nearly 82 percent of Amazon’s sales comprise of third-party sellers. That amounted to $22.9 billion in 2016. Amazon’s one-hour or same day shipping is possible due to its dependence on its own logistics. Just because it sells third-party products does not mean it uses third-party logistics to deliver the products customers order on Amazon. Amazon understands too well that depending on third-party logistics would just lengthen the product delivery time. That’s why Amazon mostly uses its own delivery vehicles for same day delivery or one-hour delivery options. Amazon has different warehouses for different kinds of products and customer preferences for delivery options. Prime customers delivery, one-day delivery, first class delivery, and free super saver delivery are some of the common delivery options available to Amazon customers. Amazon’s continuous efforts to make product delivery in the fastest possible time make it a logistics giant and not just the leader in the retail industry. Amazon’s own warehouses are strategically placed, moving closer and closer to main metropolitan areas and city centers. As a result, it uses a pure push strategy for the products it stores in its warehouses. On the other hand, it uses a pure pull strategy when it sells the products from the third party sellers. Amazon boasts over 70 fulfillment centers in the U.S. and greater than 90,000 full-time employees. To make good on increasingly fast delivery promises, the company has positioned many new warehouses in proximity to local urban markets. (Wal-Mart's online strategy in China now similarly makes use of a closer to the customer fulfillment model, operating a network of mini-warehouses.) The location, size, and the number of warehouses are important factors in Amazon’s supply chain success. Its warehouses are divided into five storage areas. Its library prime storage stores books and magazines. Next, its pallet prime storage stores full case products that have very high demand. Next, case flow prime storage stores high demand products picked in less-than-case quantities. Its reverse storage accommodates irregularly shaped and low demand products. Finally, its random storage area stores modern demand, smaller items. Back in 2012, Amazon acquired a provider of automated and robotic warehouse solutions called Kiva Systems. And in 2015, that company was rebranded as Amazon Robotics. The robots of Amazon Robotics can pick and pack without needing any human assistance, enabling Amazon to complete warehouse activities super-fast. Over the years, Amazon has significantly increased its army of warehouse robots. Its warehouse robots, in fact, have grown at the rate of 15,000 per year from 2015. As of January 2017, Amazon had more than 45,000 warehouse robots, and the robot invasion continues. It had amounts of 15,000 and 30,000 respectively in 2015 and 2016. To date, Amazon’s robotics have been aimed at bringing goods to people for the picking of orders. The next generation of robots will see them picking the orders on their own to reduce the need for human order pickers. While Amazon has been increasing its army of robots in its warehouses, other online retailers were initially slow to follow. Now, however, robots are catching on both domestically and abroad, for both large facilities, as well as for smaller islands of automation within existing facilities. Autostore is an example of a robotic automation provider that can accommodate such islands of automation. Due to the huge economies of scale and a bundle of industry-leading supply chain strategies, Amazon has been able to keep its overall per unit supply cost to a bare minimum. As a result, it has been difficult for other companies with far lower sales volumes and only their own warehouses to compete. Back in 2013, Amazon’s CEO Jeff Bezos announced that his company is developing a drone-based delivery system called Amazon Prime Air which would be delivering products under five pounds in locations within 10 miles of Amazon’s fulfillment centers within just 30 minutes or less. While that was more of a publicity stunt, Amazon is actually investing in a drone-based delivery system that will do a similar service to what they publicized. Research continues. As of November 2017, it announced the development of a drone that would self-destruct during flight, if required, to keep people safe. In fact, developing the drone-based delivery system is a major indicator that Amazon is well ahead of other players in the retail industry and it is doing everything possible to leverage all of the latest supply chain technologies to maintain their supply chain the clear market leader. 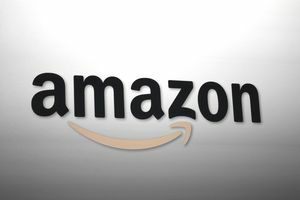 Amazon is not just a retail giant anymore as it produces a wide variety of products including batteries, backpacks, Bluetooth speakers, iPhone chargers, dog poop bags and more. In fact, in the near future Amazon would include more and more product categories in its manufacturing product arsenal. Amazon somehow understood that many of the third-party products it is selling to customers could be produced at much lower prices. With the massive volume in which Amazon operates deals, it is dealing with high volume situations which lend themselves to low-cost production. As a result, the manufacturing sector of Amazon is making it financially stronger while grabbing market share from many manufacturing companies. This combination of manufacturing to support its retail operations provides Amazon with an important revenue growth opportunity. The rate of Amazon’s innovations in supply chain management has been mesmerizing. The rate of change has been incredible, making it difficult for lower volume competitors to keep up. Amazon is forcing its major competitors to invest more in supply chain automation, lessen the overall product delivery time, increase the number of warehouses, and even engage in product manufacturing. Amazon is already out of reach for most online e-commerce competitors. At the same time, its acquisition of Whole Foods is another bold declaration of its move into bricks and mortar, further emphasizing the convergence of traditional retail and e-commerce strategies. Most importantly, Amazon’s unique supply chain strategies and continuous technological innovations have already changed the way supply chain management works. With impending advances in robotics, drones and other autonomous vehicles, one can only guess what the future holds for Amazon. Where Can My Supply Chain Career Take Me? Where Are Your Supply Chain's Hidden Costs? Supply Chain Fitness - How Fit Is Your Supply Chain?